Feel Ghood Music has finally released the full tracklist for Yoon Mi Rae's 'Gemini II'. The upcoming full album, containing a total of 12 tracks, will be the second 'Gemini' album released 16 years after Yoon Mi Rae's first iconic 'Gemini' in 2002. She will be promoting with two title tracks - "Like A Dog" feat. Tiger JK and "You & Me" feat. Junoflo. 'Gemini II' also contains Yoon Mi Rae's two pre-release singles "No Gravity" and "Kawibawibo", as well as a variety of genres ranging from powerful hip-hop like "Rap Queen" to soft and emotional tracks like "Cookie" and "Peach". 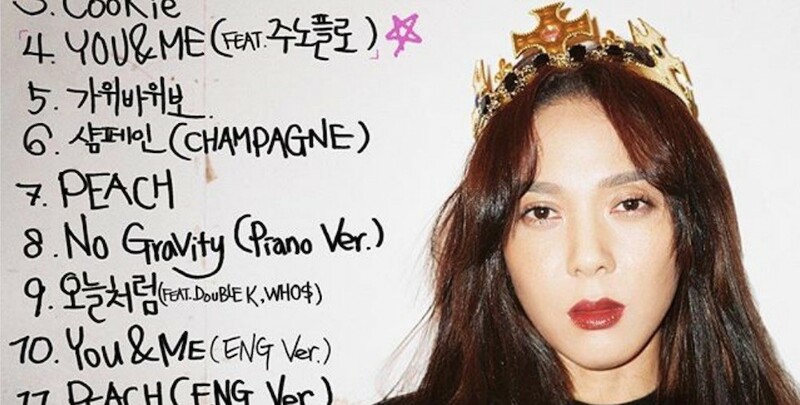 In her tracklist teaser image, Yoon Mi Rae wears a regal expression with the concept of "Queen", appropriate for one of the representative female artists of K-hip-hop. 'Gemini II' will be out in full this July 5 at 6 PM KST.